High Quality Content by WIKIPEDIA articles! The Place de l'Étoile is a large road junction in Paris, France, the meeting point of twelve straight avenues (hence the name, which translates as "Place of the Star") including the Champs-Élysées which continues to the east. 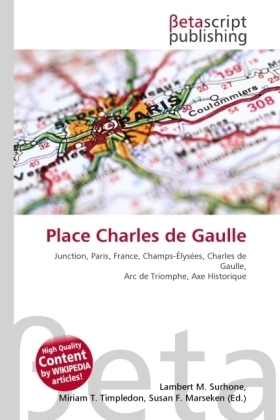 It was renamed Place Charles de Gaulle in 1970 following the death of General and President Charles de Gaulle. 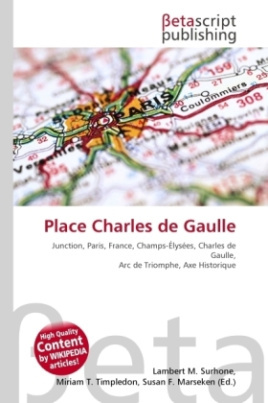 It is still often referred to by its original name, and the nearby Metro station retains the designation Charles De Gaulle ? Étoile.The place lies in the middle of the Axe historique and at its centre stands the Arc de Triomphe.